Dodge Repair & Service | Certified Transmissions, Inc. When people think of Dodge vehicles, they automatically think of words like trustworthy and dependable. And when people in the Prescott area think of dependable auto repair, they think of the auto mechanics at Certified Transmissions Complete Auto Care. When you bring your Dodge vehicle into Certified Transmissions Complete Auto Care, we give your vehicle our full attention. 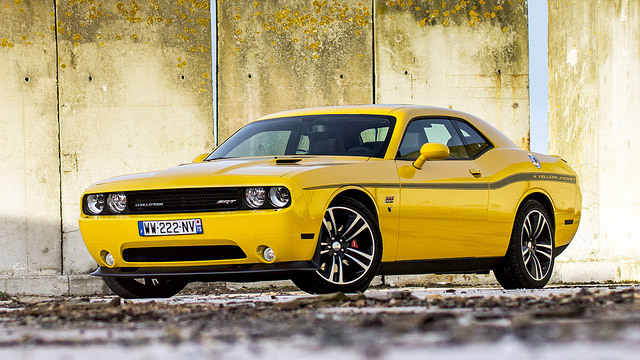 Can you believe that the Dodge brand has been around for over 100 years? That’s an amazing legacy to consider. That longevity is one reason that Dodge aficionados are so loyal. And our auto repair experts here at Certified Transmissions Complete Auto Care understand that. But even an iconic vehicle like the Dodge needs maintenance from time to time. So if you’re in Prescott and in need of someone to take care of your Dodge’s maintenance, we’ve got your back. Here at Certified Transmissions Complete Auto Care in Prescott, we treat your Dodge like it’s our own. For one thing, we like to return your vehicle cleaner than when you gave it to us. We greet you in a friendly way, do road tests before and after we service your Dodge, and always try to use high-quality parts. We don’t skimp on any auto repairs, but rather, get it done right the first time. We’d love to be your go-to auto repair technicians for your Dodge vehicle. Schedule an appointment today. Certified Transmissions Complete Auto Care is conveniently located at 1089 West Iron Springs Road, Prescott, AZ 86305. Our hours are 8:00 AM - 5:00 PM, Monday - Friday. We also serve the communities of Prescott Valley and Chino Valley.